The Windows 8 Reinstall option is similar to an install but with removal of a previous Windows. This guide is to show you how to do a reinstall of a Windows Installation, the full image guide may take sometime to load so if you have a slow connection then use the thumb nailed (Small Images) version. 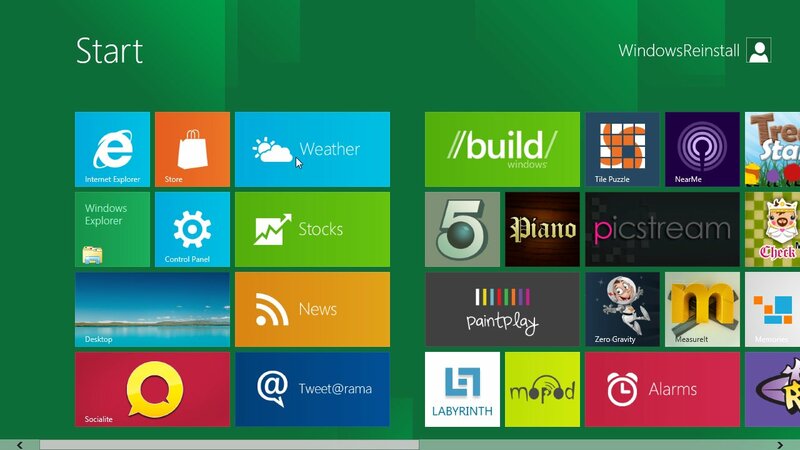 You can reinstall Windows 8 and either loose or save your personal files. If your having problems using or accessing Windows then you should first try a repair or the refresh options, if that fails try doing a full reinstall (without format). If problems still persist then chances are you have a hardware fault. This feature is available in all versions of Windows 8. If you have a PC that was supplied pre-installed with Windows 8 then you may need to download the Win8 DVD.